An island nation in the Pacific Ocean, Japan is home to ultra-modern facilities fused with ancient old traditions. 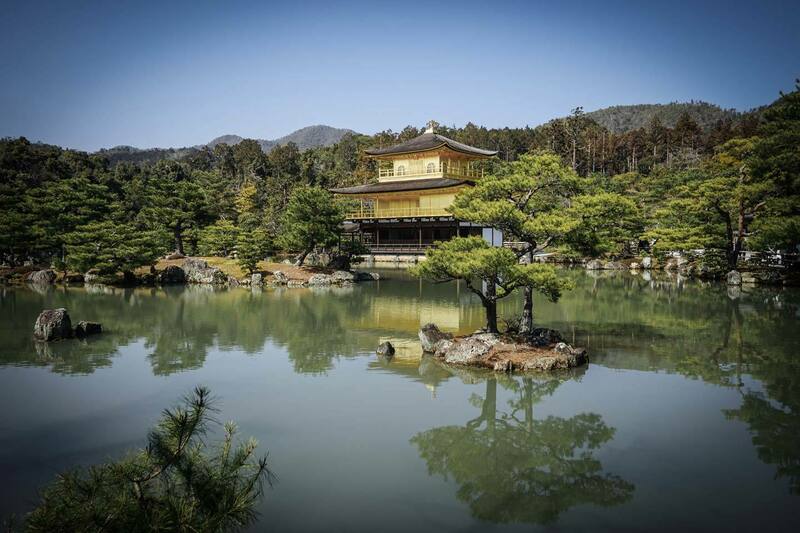 Bursting at the seams with dense cities full of towering skyscrapers, imperial palaces, thousands of shrines and temples, and mountainous national parks that fill the rest of the landmass, Japan is a truly remarkable place that is a feast for your senses. 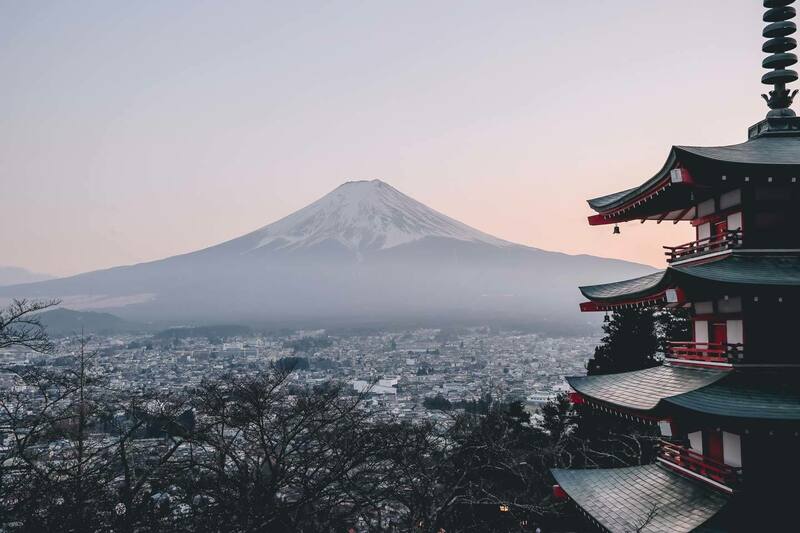 For us, Japan is way up there on our must-see list, in fact, it’s in our top 5, as the culture is so unique and unlike anywhere else and that’s not even mentioning everything else it has to offer. 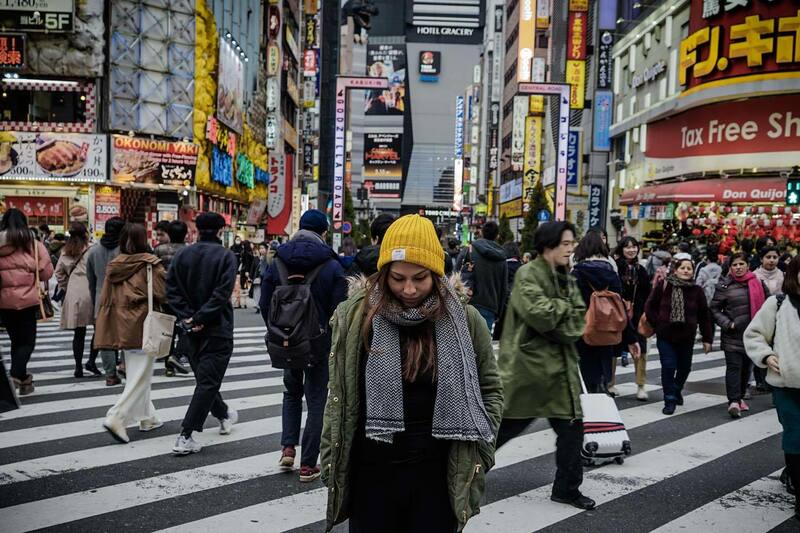 A place that many people instantly love, Japan has the power to enthrall even the most jaded traveler. To help you fall in love with it too, we’ve put together this guide to make sure you see and do as much as you can to really experience Japan in its entirety. Electricity Socket: 100V AC electricity. Power outlets are usually for two, non-polarized pins. To avoid the hassle of having to buy new adaptors for everywhere you go, we recommend picking up a Universal Travel Adaptor before you leave. Visa: Holders of passports issued by 68 specific countries can travel to Japan visa-free for up to 90 days; this means that EU and US nationals, as well as Australian, Canadian citizens etc, can travel here without a visa. The only requirement is that your passport must be valid for the entire time you are staying in Japan. If you don’t come from one of the visa-exempt countries, you will have to obtain a visa from one of the Japanese diplomatic missions. Coming from the Philippines, I had to fly back to Manila and apply for a Japanese visa using a 3rd party agency. My application was released within 3 days so the whole process was relatively easy. Safety: Japan is one of the world’s safest nations, but this doesn’t necessarily mean that you are immune from risk. During our two week stay in the country, we felt super safe and even wandered around many times during the night which is something we relatively don’t do in a new country. 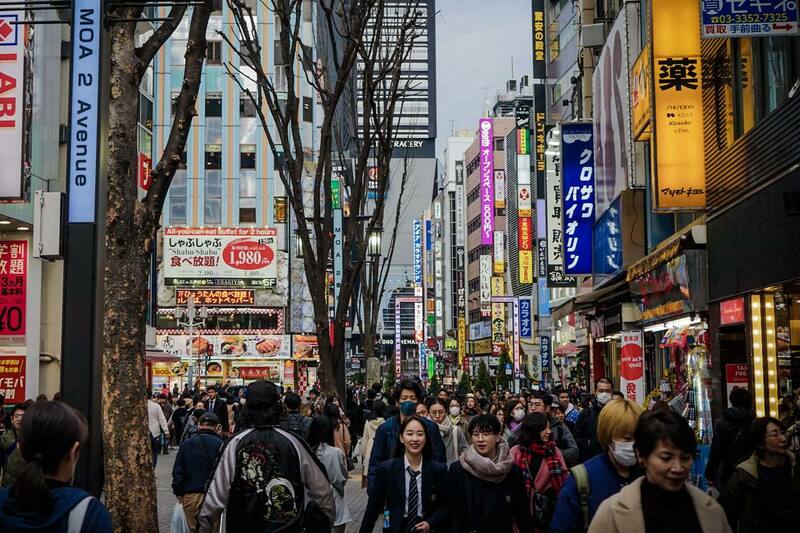 Crime levels are low in Japan but there have been reports of foreigners being targeted in Tokyo’s entertainment districts (Roppongi and Kabuki-cho) for petty theft, drink spiking, and credit card fraud. Make sure to always keep your drinks with you and watch your valuables, it is also important that you always have your I.D with you. A really handy safety measure to have while you travel is the NHK World TV app, this is the public broadcaster in Japan and they will send out emergency notifications in English to this app of an earthquake or tsunami warnings as well as breaking news alerts. As always, no matter how safe a country is, we always recommend getting travel insurance. We recommend going with World Nomads, due to the large number of sports and activities that they cover. Language: The primary language in Japan is Japanese. You will be fine in tourist areas, especially because of the upcoming Olympic games. When we were there, public transportation was very clearly laid out and had English translations everywhere. It is very common to encounter menu machines in restaurants. This is where searching for blogs and google photos comes in handy as for the most part, the buttons are all in Japanese. We encountered a couple of these but the staff always were willing to lend a helping hand after we showed them a picture of what we wanted. Japenese is a very difficult language to learn so if you’re brave enough, grab a book and try to! It is worth noting though, that many Japenese people love to hear English and would love to speak it so you won’t be offending everyone if they hear you talking clearly and slowly if you have to. Transportation: Transportation in Japan is SO efficient. Everything happens and runs like clockwork, making it an easy country to travel around. However, if you don’t plan your trip properly, transportation can be very costly, given the price of bullet trains (Shinkansen) to and from main cities. 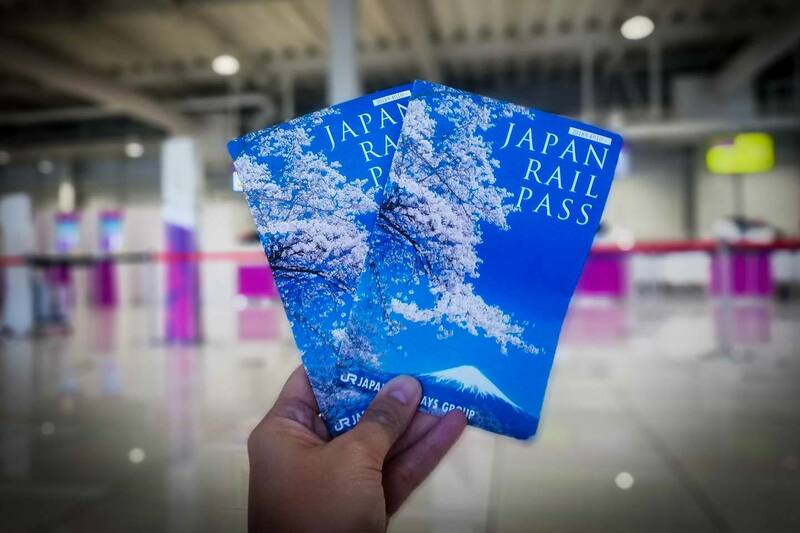 Hands down, if you are planning to travel around Japan, stopping at two or more cities, getting a Japan Rail Pass is something we highly recommend. The passes grant you unlimited travel Japan Rail National trains, as well as JR bus services, ferry services, and airport transfers, as well as bullet trains between major cities. While the initial cost of the rail passes turns off a lot of people, they actually work out cheaper than buying individual tickets! Our passes ended up saving us a few hundred dollars as we ended up going on a lot of day trips. We got a 7-day unlimited train pass which we activated during the middle portion of our trip when we were traveling from Tokyo to Kyoto and Osaka. You order the rail passes ahead of time and an exchange order is delivered straight to your doorstep. All you have to do is activate your plan as soon as you get to Japan, allowing you to use any JR trains immediately. Being able to hop on any train without having to worry about the cost ahead of time was a huge relief and in the end, saved us tons of money! The best time to go to a country is completely subjective, it depends on the types of things you want to do and see, the weather that you like, the price, and whether things are actually open. When looking to travel to Japan, the best time to go is said to be late spring or late autumn as there is great weather and the country is visually stunning (think cherry blossoms and autumn leaves!). Low Season (Jan-Mar) – Expect cold days! This is peak ski season so the snowy mountains will be full of crowds, but everywhere else will be quiet and affordable. If you love skiing and snowboarding, consider heading to the country then to experience its renowned powder snow! Many businesses close over the New Year period so check this before you book. Mid Seasons (Jun & Jul, Sep-Dec) – Although June and July are part of the rainy season and September is prone to typhoons, the shoulder months are popular for visitors as the autumn time is so pretty. Prices are affordable at this time and crowds increase but are manageable. High Season (Apr & May, Aug) – With fantastic weather, the crowds roll in for the summer festivals and cherry -blossom season. This results in high prices and crowds galore. However, seeing the cherry blossom season is a must-do while in the country. Train: 1,580 ¥ one day pass ($14) Taxis are very expensive and are unnecessary considering how efficient public transportation is. 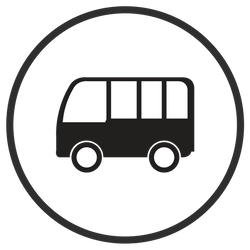 For example, from the Narita airport to downtown Tokyo, taxis can cost anything from $200-300. What you need to pack obviously depends on when you are traveling to Japan. In the Winter, you will need long sleeve tops, jeans or long pants, woolen socks and boots – it gets pretty cold out there. We went right before cherry blossom season which meant we had a lot of cold and rainy days. For Winter travel, consider investing in warm heat tech base layers and a nice warm coat and gloves. While in the Summer, you’ll need t-shirts, shorts/skirts, sunscreen, a hat, flip flops, and an umbrella – yep, it’s rainy season in the Summer too! It gets sweltering in the Summer in Japan, so it’s not uncommon for people to carry a towel around with them to pat down the sweat. Sounds gross but you’ll thank us. Whatever you do, just make sure you check the weather and pack accordingly. Naturally, you can also just opt to bring a few pieces which will give you a reason to shop and splurge a little bit while you’re in the country. Although traveling around Japan is easy, a good internet connection is a must! Looking for where to go, which trains to catch, and even where to eat needed wifi which is why one of the first things we got when we landed was a WIFI box. We rented one from Vision Global Wifi ahead of time and picked it up from the airport as soon as we landed. It was honestly so simple and efficient throughout our entire trip. The best part about it was that Tom and I could both connect to the WIFI box, making it a lot more cost efficient than getting individual sim cards. 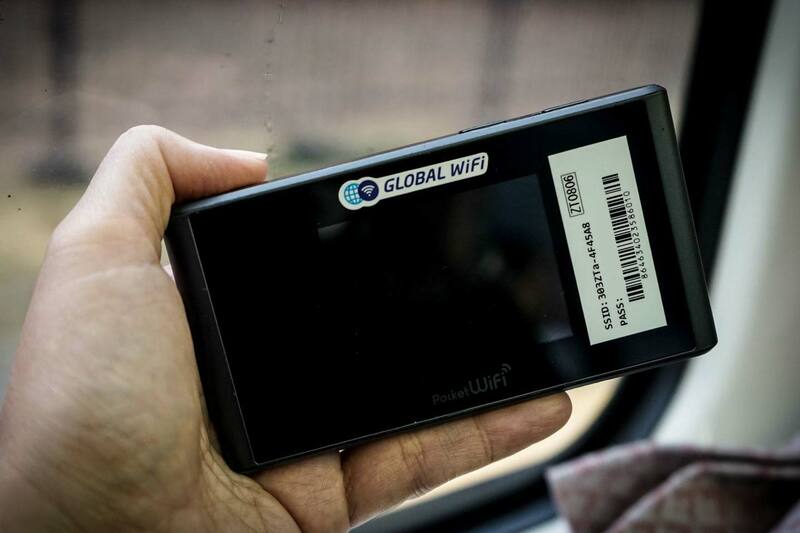 The WIFI box allowed us to travel around Japan with ease and kept us entertained during long train rides! Vision Global’s website was also super easy to use and gives you an exact quote on how much a pocket WIFI box will cost for the duration of the trip. The connection was strong everywhere we went, providing is with great coverage throughout our two-week trip. My only suggestion is to make sure you bring a power bank with you at all times as if you leave the box on throughout the day, the battery will run out! 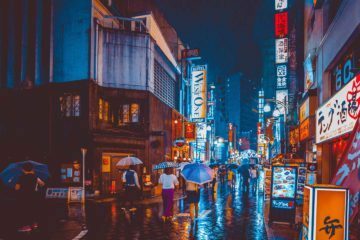 The world’s most populous metropolis, Japan is full of sci-fi neon-lit cityscapes, award-winning architecture, unlimited shopping, entertainment, and culture, and has more Michelin-starred restaurants than you can fathom. Let’s just say, it’s pretty easy to get lost here. With many museums, historic temples, and pristine gardens, the city offers something for everyone. If you’re looking for the top things to do in Tokyo, see the world from its tallest tower – the Tokyo Sky Tree, stroll the streets full of mega-malls and designer boutiques and eat your weight in yakitori (grilled chicken) from lantern-lit yakitori stands. If you want to get a taste of Japenese culture, stay in a ryokan (a type of traditional Japanese inn that has existed since the eighth century A.D.) for a night or two. These inns were very common and they also served to provide travelers with lodging along Japan’s highways way back when. Although not 5-star comfort, it is pretty cool seeing what it was like a long time ago as you sleep on futons and tatami mats and pad your way through well-worn wooden halls to the public bathhouse. We stayed in a lovely Ryokan with a private onsen (hot spring) when we went up to see the snow monkeys. The place was super well run by a husband and wife duo and was 100% worth it for the experience alone. During our stay in the Ryokan, they picked us up from the train station, cooked us a multi-course dinner meal, dropped us in the snow monkey park then met us back in the station with our luggage. If this experience sounds like something you’d hit up, it will cost you around 15,000-25,000 ¥ ($135-225) per night. An active volcano and the highest mountain in Japan (3,776m), Mount Fuji has been and still to this day is worshipped as a sacred mountain. If you’re like us and you love a good challenge, consider hiking Mount Fuji if you ever travel to Japan. The official climbing season is from early July to mid-September where you can stay the night in a traditional mountain hut before making the climb in the early hours of the morning. Although a challenging ascent, it’s more than worth it when you reach the peak and see the panoramic views as your reward. Visibility tends to be better during the colder seasons of the year than in summer, and in the early morning and late evening hours than during the middle of the day. If this sounds like your kind of adventure, then don’t hesitate to join the hundreds of hikers who have come from all around the world for the challenge. This is something we didn’t get to do due to the season…but its just another excuse to return to this fantastic country! This is just a super cool experience to have and to be able to say that you have done it. A shinkansen or ‘bullet train’ as it is known in English, is a network of high-speed railway lines in Japan. Not only are the trains themselves super slick-looking (and kind of sci-fi like), but they are able to travel at speeds of over 200km an hour! Imagine feeling this speed and watching the Japenese scenery flash past you. I’m sure it would feel pretty surreal. In the 50 years that it has been in operation, there hasn’t been an accident or death which has made it famous worldwide for its safety – could this be the future of travel? It is also so efficient, allowing you to travel between cities in lightning speed. Who doesn’t love these furry creatures? Especially when they are in the wild, monkey-ing about! Seeing these snow monkeys relaxing in the hot springs, going about their ways was a sight to see. What fascinated us the most was that they were completely ignoring the humans and yet were fiercely territorial about their space with other monkeys. 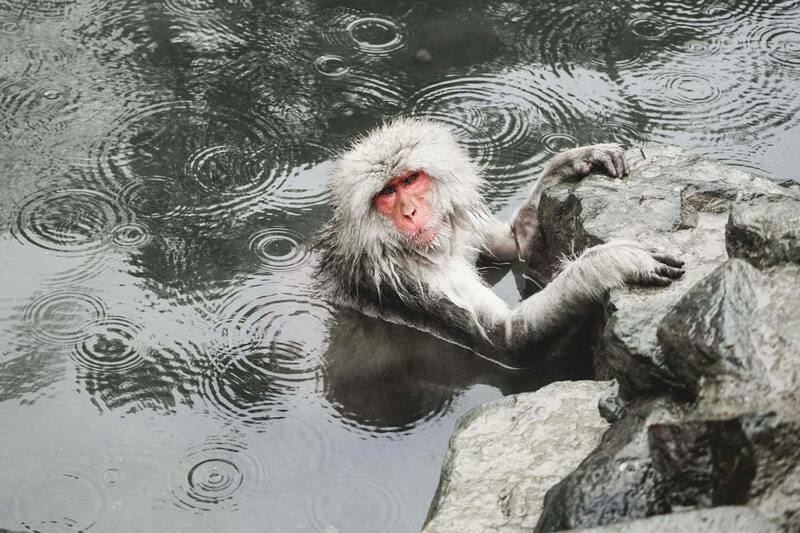 During colder months, more monkeys can be found inside the hot spring itself, making it a photographers dream! Our tip is to go there in the morning in the hopes of avoiding the big tour buses or daytrippers. If you like photography, stunning scenery, or just a quiet social evening, then you should experience a hanami while in Japan. From the end of March to April, the world-famous cherry blossoms in Japan bloom. A popular tradition during this time is for locals to go flower viewing (hanami) under the trees, where people eat and drink together while surrounded by this beauty. This goes on all day, so whether you come here in the day or night, people will be having a hanami and the view will be just as beautiful. During our last trip, we arrived just as Hanami season was about to start and although we missed most of it, we did see the beginning of a few trees and could totally imagine how beautiful it is to see all the parks and streets lined up with cherry blossoms. Among the ultra-modern buildings, malls and skyscrapers, Japan has so many beautiful and traditional shrines, temples and castles to be admired. If you can, visit Kiyomizu-dera temple and Kinkaku-ji-temple, both sites are amazing to see and they celebrate thousands of years worth of history. Sacred, awe-inspiring, and picturesque, these temples will take your breath away. Although we run an adventure travel blog, our main objective in Japan was to eat our hearts out. We have never been to a country where we loved the cuisine so much that we had it every single day! Sushi for breakfast, ramens for dinner, you name it, we ate it! The best thing about Japan is the food quality is delicious everywhere- even in 7-elevens! Our suggestion is to check Google Maps for suggestions on places to eat. Read reviews and look at photos- this will help you during the ordering process as well! The key to Japanese food is the quality of ingredients. Even if we ate in a hole in the wall stall, all the ingredients were locally sourced and were super fresh. When in Tokyo, a trip around Tsukiji Outer Market is a good place to start exploring the food stalls. Japanese food is out of this world which is why attending a cooking class in this country was on the top of our list. We found a fun class in Kyoto thanks to Cookly where we learned how to make a variety of dishes for a Japanese bento box. Our teacher was the loveliest woman ever, carefully teaching us all about the craft of making Japanese food. 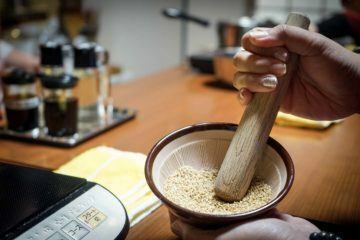 If this is something you’re interested in doing as well, check out these cooking classes in Japan, featuring classes all over Tokyo, Kyoto, Osaka, and more. Japanese food is definitely not for the faint-hearted as some of it comes across odd but if you don’t dive in head first, you are missing a big part of their culture. Offering one of the most vibrant food scenes in the whole world, Japan is known for its out their seafood, top quality ingredients, and for their chefs who are masters of technique and skill. 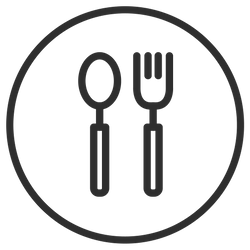 It is not uncommon to find restaurants who only specialize in one thing because they train for years and years! You can’t talk about Japanese cuisine without mentioning sushi and yes, it is better here than anywhere else in the world. The quality of the sushi is remarkably high, the rice is always perfectly cooked and seasoned. 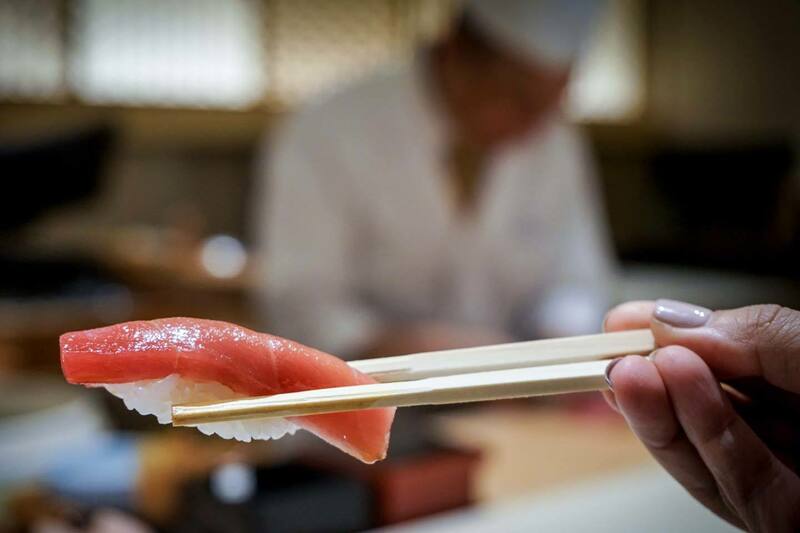 Unlike westernized sushi which are often overloaded with a myriad of ingredients, most Japanese sushi has one-star ingredient. During our time there, we ate our weight in sushi (literally) and had the best time. Never have we experienced such simplicity and deliciousness in one bite. We went for expensive sushi kaiseki meals, as well as cheap conveyor belt sushi and loved it each time. Experience the real thing and you’ll raise your sushi standards forever. Grilled skewers of meat and vegetables, seasoned perfectly. A simple yet amazing piece of food, this dish can be enjoyed almost anywhere in Japan whether as a full meal in yakitori restaurants or as a snack on the street. In Tokyo, if you’re looking for a fun night, a visit to the yakitori stands in Omoide Yokocho is a must, followed by a few too many highballs and sake in Golden Gai. Takoyaki is a classic example of Japanese street food and is the tastiest of snacks. Pieces of octopus fried and topped with bonito flakes, seaweed, mayonnaise, and tare sauce (a salty delight), these golf-sized balls of goodness will take you to a whole new place. One of Japan’s most well-known dishes is the affordable and quick Ramen: a bowl of thin, curly noodles served in a rich chicken or pork broth. 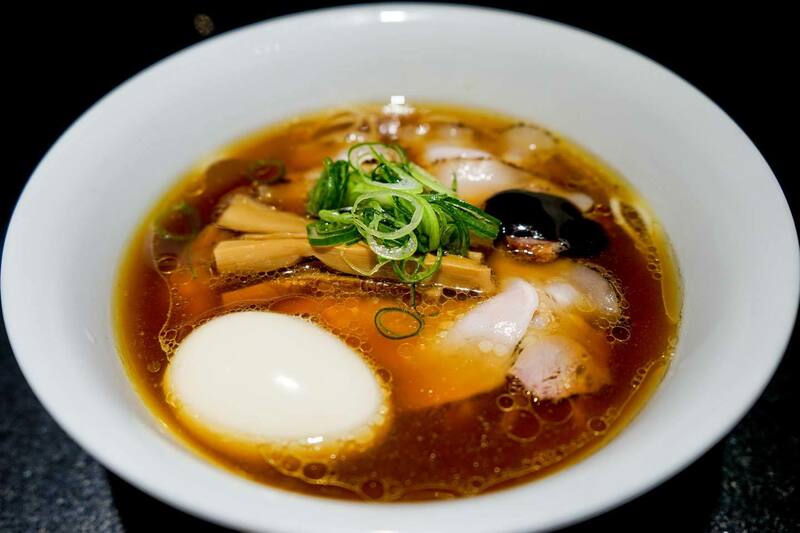 Depending on your preference, the broth varies from region to region from heavy and creamy to light and subtle and can be served with sliced scallions, a soft boiled egg or chashu (pork). As Ramen has exploded in popularity over the past decade, you can find it everywhere, especially ‘Ramen Street’ which can be found on the 10th floor of Kyoto Train Station. When we were in Tokyo, we visited two Michelin starred ramen restaurants which essentially blew us a way! Tsuta Ramen had a light broth infused with truffle cream while Nakiryu Ramen had a deep tantanmen ramen with a rich broth. Both highly recommended! If you like anything fried, Tempura is the word you need to look out for. Shrimp, chicken, broccoli, sweet potato, eggplant…you name it and they fry it. You can find tempura stalls that sell by the piece or you can enjoy it as a side dish at restaurants or even a full-blown Michelin-starred tasting menu of nothing but tempura. This is literally my heaven. Kyoto is known for having lots of top quality tempura places so naturally, we couldn’t leave town without going for a multi-course meal. 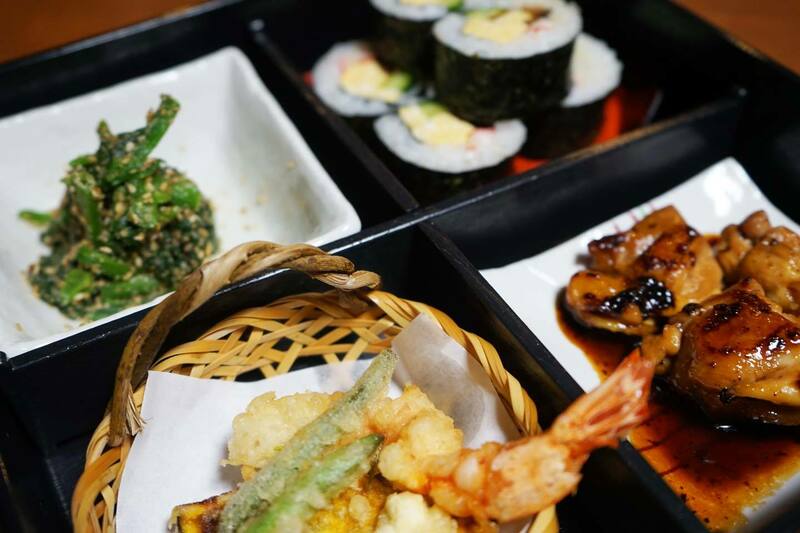 While the ebi (shrimp) tempura is usually the one we look forward to in every meal, the vegetable tempura that was served to us stole the show! Japan has endless accommodation options and I’m not kidding when I say that, you could lodge almost anywhere. 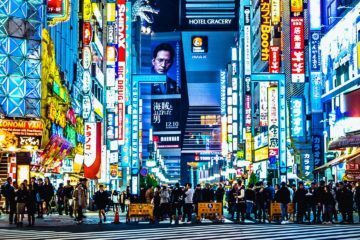 While Japan offers some of the swankiest hotels, it also offers some of the quirkiest; in Japan you can sleep in hostels, capsule hotels, internet cafes, volunteer accommodations, on overnight buses. This is one country where you can really get creative and enjoy a new experience, so do your research and book your accommodations in advance so that you’re not disappointed. 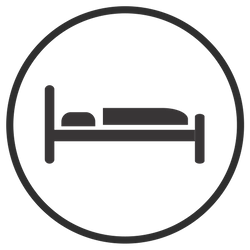 Because accommodations tend to book out quickly, especially during big festivals or events, we recommend checking sites like Booking.com to help you find the best deal possible. We also stayed in a few Airbnb and loved having access to a kitchen and a washer and dryer which made a big difference when you’re traveling for a long time. We adore the platform and use it all the time! Here’s a $45 discount on your next booking! In conclusion, a few days into our trip, Japan quickly went to our top favorite countries. Everything about it from the food, the people, the sights make it an awesome destination that we will keep coming back to! Kyoto Cooking Class Review: A Must Do While in Japan!